Seared plantains doused in a luscious fire roasted tomato sauce with a couple of nori sheets to evoke a hint of sea flavour. 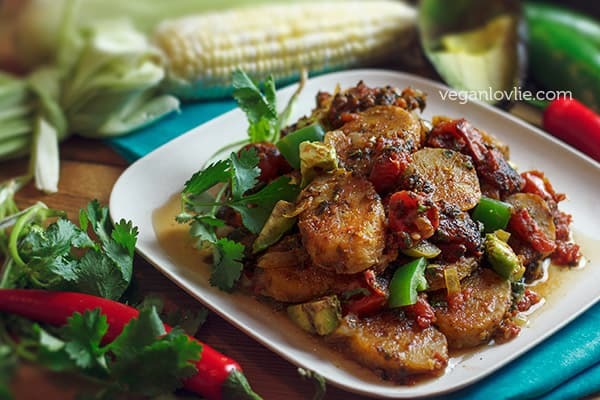 Inspired, adapted and veganised from the popular Shrimp a la Mexicana dish. A delicious plantain recipe. One thing that living in Canada has taught me — you can never go wrong with a well stocked pantry at anytime of the year. Most of the time, I try to get hold of fresh ingredients. But, while a well stocked pantry goes without saying for the long winter months, if you don’t live close to amenities, then it is a definite life saver during the warmer months too. Of the many items that go into my pantry staples list, canned tomatoes are undoubtedly among the first. Tomatoes are the soul of so many dishes — from the Mauritian rougaille to the daube and not forgetting our Mauritian-style macaroni and curries, to name a few. Tomatoes are one of the highest pesticide sprayed vegetables in the world. Hence organic tomatoes, apart from their superior taste, are my preferred choice for their higher nutritional value. But not all canned organic tomatoes are created equal. So, when it comes to tomatoes and especially canned ones, I am rather diligent. Moving from brand to brand, I have tried almost all that I could find on the shelves and online. I recently came across a range of canned tomatoes from Muir Glen. After I ordered a couple of cans online in the Fire Roasted Diced and Basil Crushed Tomatoes varieties, both Kevin and I were hooked. The tomatoes from other brands that we have tried can be rather pasty. Moreover, a lot of brands pre-cook their tomatoes to more than what I consider ideal. The Muir Glen ones are smooth with a nice robust flavour. They are treated just to the right amount; you really can tell from their gorgeous bright and fresh taste. For Kevin, these tomatoes brought back memories of the garden-grown tomatoes that he used to enjoy when he was a kid. They are even suitable for salsa recipes where you would usually use fresh tomatoes. So, when Muir Glen asked us if we would like to review their products, we were more than happy. The pantry was already stocked with a few tins of their tomatoes; we have been using them for a few months now and haven’t felt the need to try out another brand. If you have not had the chance to try these organic tomatoes yet, I am excited to announce that Muir Glen is offering a prize pack to one lucky reader/subscriber of the Veganlovlie blog/channel. To participate it is very simple. Tell us some of your best tips to host a successful fuss-free summer party. Just leave us a comment on the blog below then enter via the widget below. Do you go for recipes that you can make in advance? Or maybe you mostly serve store-bought pre-made food to save time and effort? These are a few examples, just share some of your best tips. You can gain additional entries with social shares! You have until June 27th, 2016 to enter. Contest is open to Canadian residents only (including Quebec). Winners will be selected at random and notified by email. The winner must respond within 48 hours of email notification. The winners will be required to answer a skill-testing question. 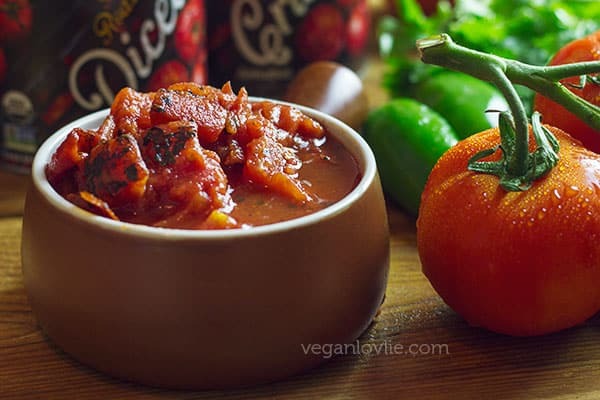 Si vous n’avez pas encore eu la chance d’essayer ces tomates biologiques, je suis heureuse d’annoncer que Muir Glen offre un ensemble de prix à un chanceux lecteur / abonné du blog ou la chaine Youtube Veganlovlie. Pour y participer, il est très simple. Dites-nous quels sont vos meilleurs conseils pour organiser une fête d’été sans chichi avec succès. Il suffit de nous laisser un commentaire sur le blog puis entrez via le widget ci-dessous. Optez-vous pour des recettes que vous pouvez faire à l’avance? Ou peut-être vous préférez les aliments préfaites achetés en magasin pour gagner du temps et pour moins d’efforts? Quoi qu’il en soit, ce sont là quelques exemples, partagez simplement certains de vos meilleurs conseils. Vous pouvez gagner des entrées supplémentaires avec des partages sur les réseaux sociaux! Vous avez jusqu’au 27 juin 2016 pour y participer. Le concours est ouvert aux résidents canadiens seulement (le Québec inclus). Les gagnants seront choisis au sort et avisés par courriel. Le gagnant doit répondre dans les 48 heures suivant la notification par email. Les gagnants devront répondre à une question d’habileté. Summer is already here and it’s the time of the year where we live to get together and meet with friends and family over good food, drink and conversation. Hosting a dinner party at home can sometimes be a little daunting. But it doesn’t have to be. My own little tip for a simple and stress-free party hosting is planning well in advance. Since I love cooking, most of the food that I serve are homemade with a few store-bought snacks. I try to prepare a selection of nibbles that freeze well like these Sweet Potato Tofu Wontons that are just as tasty when fried too. Burger patties made in advance provide much convenience. Then for the main meal, I make sure it’s a recipe that can come together rather easily and can feed a crowd. I like to feature ingredients that are less commonly known but that may prove to be interesting and spark conversations among guests. During my pre-vegan days, seafood is one ingredient that would especially be served during summer parties. 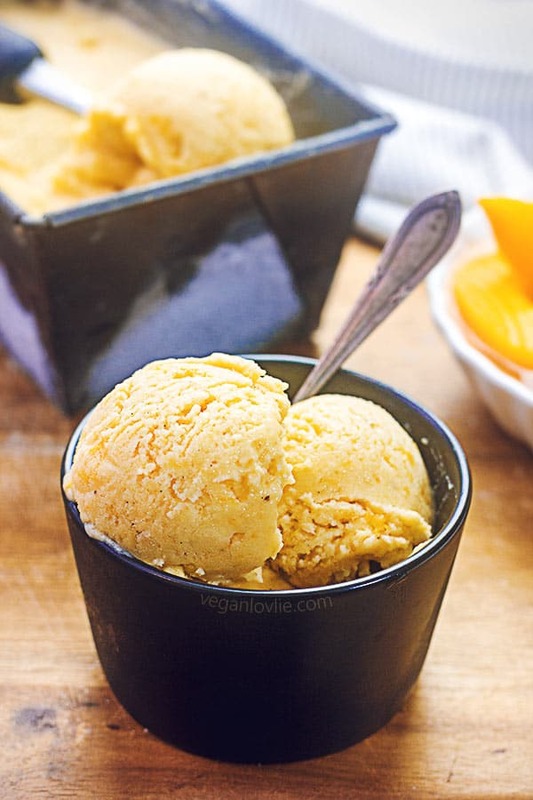 But vegan parties have proved to be equally if not more than tempting with the array of recipes that I have been able to create, veganise or come across. Many times, the vegan food that I’ve brought for office summer potluck parties has been a real hit. With seafood in mind, this Ocean Plantain a la Mexicana recipe is sure to win your heart this summer. 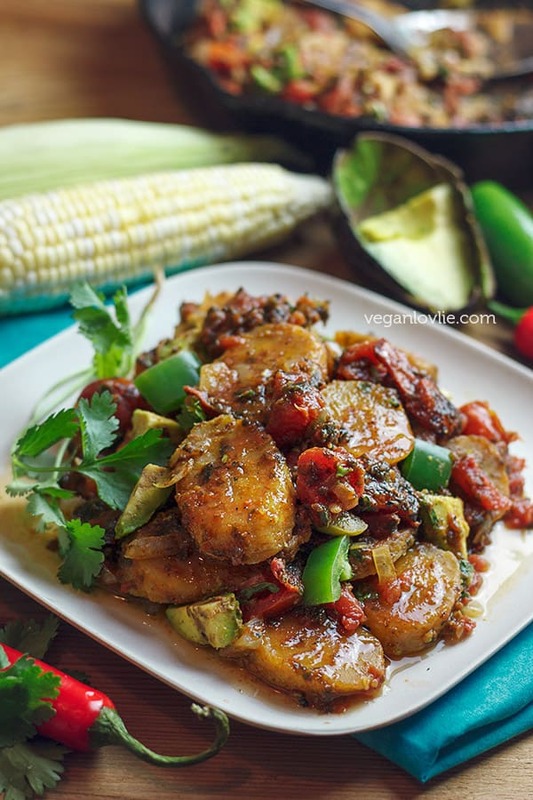 This recipe has been adapted and veganised from this Shrimp a la Mexicana recipe. If my memory is not escaping me, I first discovered Mexican cuisine a few years ago, while living in England. It’s one of those cuisine that I had no trouble adapting to. I quickly became quite fond of spicy black bean and rice burritos, guacamole and fresh tomato salsa which is just like the Mauritian tomato chutney. In many aspects, I find Mexican cuisine to be quite reminiscent of Mauritian cuisine. Bold flavours from chilli peppers along with other native ingredients like tomatoes are expressly evocative of the base ingredients in many Mexican as well as Mauritian recipes. 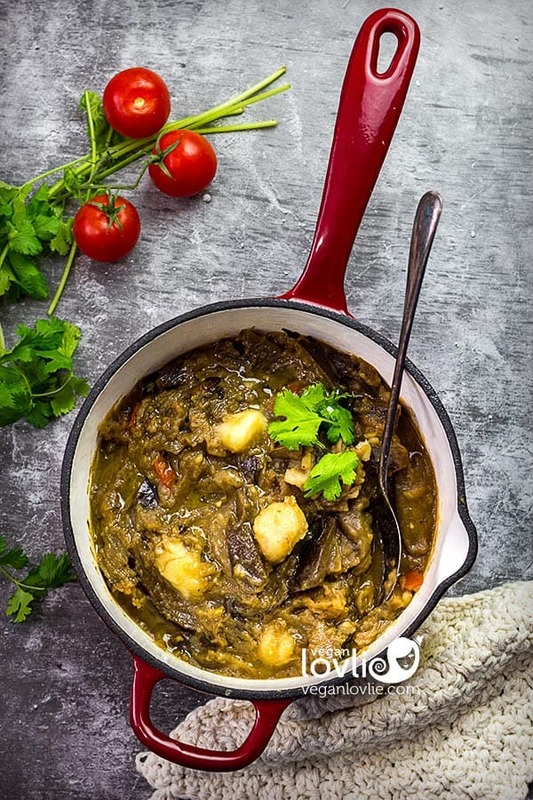 Green bananas are commonly used in Mauritius as a starchy vegetable in curries. Plantains are not a particularly Mauritian ingredient but they make good substitutes for recipes that call for green bananas. Most of the time, bananas are available semi-ripe in the stores; their very green counterparts are less common. Once the bananas have started to ripen, they become unsuitable for savoury preparations, in sauces, curries or stews. 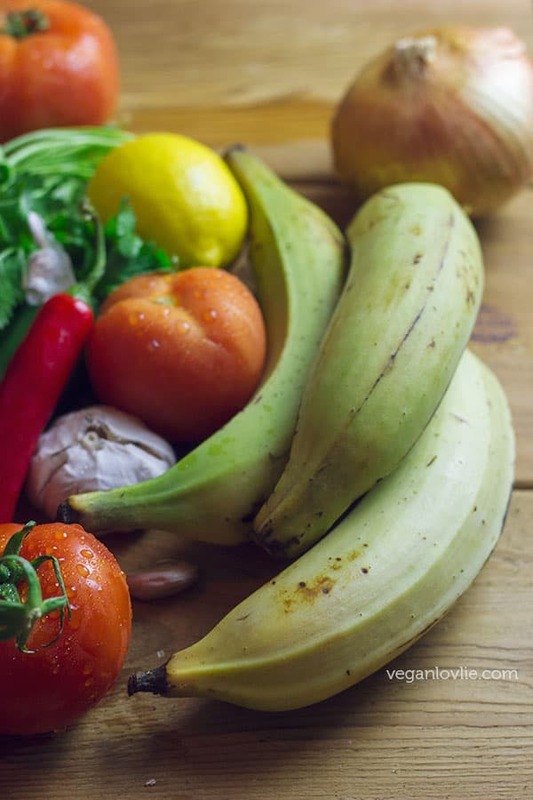 Unlike bananas, plantains can be used green, semi-ripe or ripe in many savoury recipes. Infact, plantains have to be properly cooked before consuming otherwise they may cause stomach cramps. Substituting shrimp with plantain makes an interesting vegan option. A few crumbled nori sheets tossed into the sauce brings forth the seafood flavour, hence the name “Ocean Plantain”. The luscious fire roasted tomatoes from Muir Glen adds a totally new dimension to the overall dish. Coriander leaves (or cilantro) balance out the heat with their cooling freshness. Some avocados tossed in at the end, add creaminess that round off the dish. 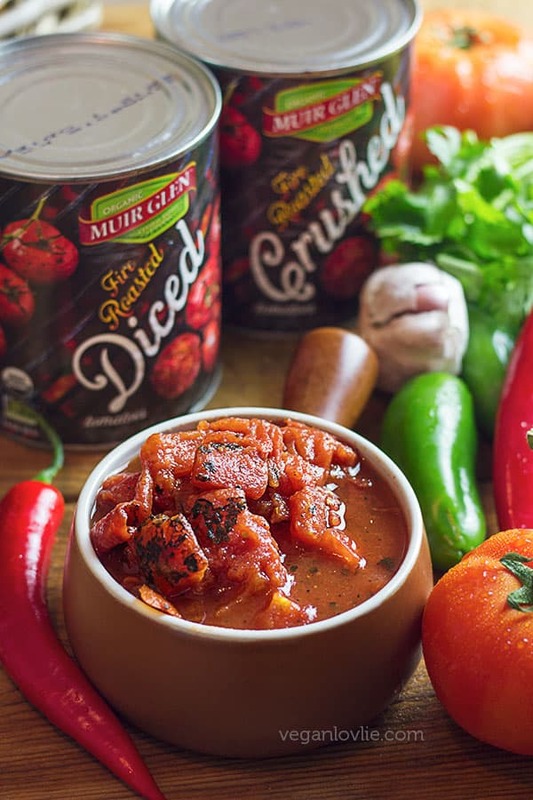 Watch our video review of Muir Glen organic tomato and follow on the step-by-step recipe. Adapted and veganised from this Shrimp a la Mexicana recipe. Cover the plantains, unpeeled, with water in a large pot. Cover and bring to a boil. Boil for about 30 – 45 minutes or until the peel has soften and start to open easily. Meanwhile prepare the vegetables – peel and chop the onions and garlic. Stem and chop the chiles. Once plantains are boiled. Remove from the water and allow to cool. Then peel and slice them into discs of about 5-mm or ¼-inch thick. Place in a mixing bowl. Add the coriander seed powder and paprika. Toss and mix well. Lightly coat a large nonstick skillet or cast iron pan with olive oil and set over medium-high heat. Once heated, add plantain slices in a single, uncrowded layer (work in batches if necessary). When plantains pick up a nice golden colour and are slightly crispy on one side, about 5 minutes, flip them over and cook until golden and slightly crispy, about 3 minutes more. Lightly season with salt. Remove all plantains and set aside. Before moving on to making the sauce, toast the nori sheets directly on the flame or hot plate by lightly touching them in the heat. Turn them around and keep touching them with the heat until they feel crisp. Set them aside for now. You may give the skillet a quick rinse, before moving on, to remove any spices that may have deposited. When these spices get roasted furthermore in additional oil, they may produce an unpleasant taste. In the same skillet, add 1 more tablespoon of olive oil. Once heated, add the onions, garlic and chiles. Saute for about 3 minutes. Add the tomatoes and cook for another 3 minutes. Crumble the nori sheets into the pan and stir. Add in the plantains along with the lemon juice and salt to taste. Cook for another 3 minutes. Add avocado and remove from the heat. 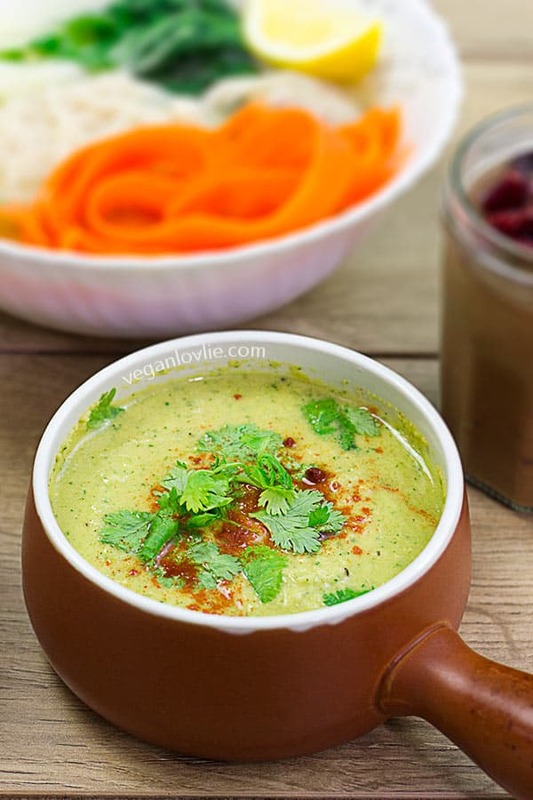 Garnish with coriander leaves (cilantro). Serve. Cover the plantains, unpeeled, with water in a large pot. Cover and bring to a boil. Boil for about 30 - 45 minutes or until the peel has soften and start to open easily. Meanwhile prepare the vegetables - peel and chop the onions and garlic. Stem and chop the chiles. Full Disclosure: This post is sponsored by Muir Glen. We only endorse products and services that we like, enjoy, use and that we believe, based on our experience, are worthy of such endorsement. We value the trust of our readers and subscribers. We believe in honesty of relationship and opinion. We received a small selection of Muir Glen products and we were also compensated for our time.The views and opinions expressed on this blog and in the video are 100% ours. I have never cooked with plantains, this looks like a really good dish to have at a bbq. My best tips for hosting a summer party are to make as many dishes ahead of time as you can and have more beverages than you think you will need! I like to plan as prepare as much as possible in advance so I can relax and enjoy the party rather than have to keep to the kitchen the whole time. This dish looks delicious 🙂 I havent used plaintains before but I will have to try some new recipes. My best tip for a summer event is preparing food in advance and stocking up on cool vegan treats like watermelon and homemade popsicles. Fuss free summer party? It has to be potluck! Prep ahead as much as possible, some of the best and easy recipes actually taste better after sitting for a day (like the vegan jalepeno dip I made tonight!). Sliced fruit is easy and refreshing too! Devote tome to preparation – this can mean preparing as much food as possible ahead of time, it also means cleaning the grill and filling the propane tank. Have a variety of games and boredom busters for the kids. And have bins for dirty dishes. Make our dishes ahead of time and set paper plates – easy clean up. I just started getting local organic veggies from a farm delivered to a hub as part of a community program, and I love the fact that you have such amazing recipes….I feel really excited to have now gone towards a healthier diet. Think of dishes that don’t require cooking at the time of serving so you can actually be at the party instead of in the kitchen! I feature non cooked, raw foods for a summer get together. Like salads, veggies and fruit with dips. Followed by one easy to make and serve main dish, and an amazing desert. I would usually prepare somthing homemade. When I see something that piques my interest I’ll usually save a copy for my “Go to” file folder or save a link to my facebook from something that looks yummy to try. Going back to your favourites is always a tried and true dish to bring/make. My best tip would be to prepare as much as you can beforehand and to keep a to do list to keep you on track. I like to make easy, make ahead dishes. Throw the meat on the BBQ and bring out the side dishes and done. Lots of time to visit. Prepare ahead of time, so you can actually socialize with your guests! get more ice than you think you will need! And have shade. I like everyone brings a dish! Pot lucks make things much easier. 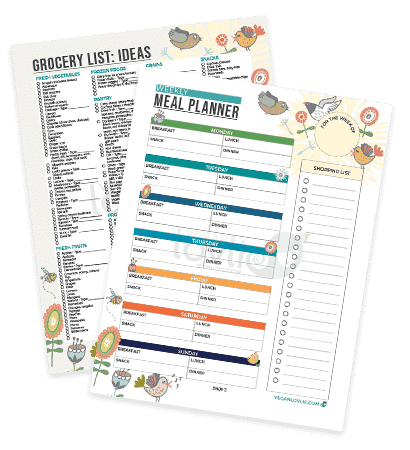 But also planning ahead and choosing recipes that don’t require a lot of work the day of the party, make things ahead whenever possible and get the kids involved! Organize and plan! Do everything ahead of time. My best tip for hosting a summer party is to prepare ahead, use paper plates and plastic cups, get coolers with ice for beverages, and lots of sunscreen for guests. The best tip I can offer is have finger foods that are quick to prepare so that you can socialize and not spend hours in the kitchen or bbq trying to prepare food while your company sits and waits. I like to prepare a variety of dishes for guests to appeal to all tastes and try to do as much of it in advance as I can, to make things easier and more time for visiting during the party. As others have stated, prepare ahead. Especially appetizers & a salad that only needs dressing at the last minute. My best tip for hosting a summer party is keep the drinks and the people cool if it is too hot outside and offer something yummy that is new to your guests like the Ocean Plantain a la Mexicana recipe featured right here on this website. My best tip for hosting a Summer Party is make up a menu well in advance and make as many dishes ahead of time as possible. Go pot luck and Really Relax 🙂 It’s always fun to share food and recipes 🙂 Thank you for this Great giveaway !! Prepare in advance is always the best and least stressful. Prepare ahead and have lots of containers with ice to keep your drinks and your food cool and safe. bring lots of yummy food! My best tip for hosting a summer party, or any party is to personalize the experience for your guests; whether it is using unique place settings with place cards, or providing a gift at the door, having ideas for some games to break the ice, etc. My tips to host a successful fuss-free summer party are: 1) Make a plan so you know what you will do and you can figure out what can be done in advance and 2) Make sure the plan is reasonable so that you don’t bite off more than you can chew. I like hosting potlucks–share the variety, and some of the prep work! Best tip for hosting a summer party – is know your theme, keep organized, don’t sweat the small stuff, have a good time. One can also make it a POT-LUCK style party so you are not the only one doing all the work. My best tip for a summer party is don’t sweat the small stuff, be organized & also one can have a POT-LUCK style party where one doesn’t do all the work..these are really fun. My tip for hosting a summer party is not only lots of food but plan to play some outdoor games as well….everyone has fun with a few games of bocce, croqet or badminto! Do as much as possible ahead of time, and accept any offers of help. Have more food ready than what you think you need. It is a very good dish. I used wakame instead of nori and was very tasty. Good Golly Miss Molly , my best tip is plan days ahead & WRITE DOWN everything needed for the party & make the purchase 1 or 2 days ahead. Thank you for the awesomeness, the contest, and generosity. 🙂 Pick me. Serve simple foods! …so you can have fun at your own party! My tip is make seasonal dishes that you can prep ahead of time and disposable dishes for easy clean up. I believe in preparing as much food in advance as possible to allow more time with guests. My best tip for hosting a summer party is to have all the food ready to serve or ready to put on the BBQ. Prepare ahead, I do more of fruits and veggies as well as salads. The best thing to do is have a POT LUCK! I make a mix of cold and hot appetizers that can be brought out in stages that way timing doesn’t have to be so crucial. I make a mix of things to suit all appetites and allergies. We also make a variety of cocktails to go with them. Our favourite right now is a Pimm’s cup. My best tip is to have a lot of non alcoholic fun drinks for everyone to enjoy. Try to do most of the cooking and preparations beforehand so that you can enjoy yourself to. Prep in advance & just keep dishes warm in the oven so you can serve at various times during the party. My best tip is to make it a pot luck. Prepare as much as you can ahead of time and have lots of ice. Be sure to make enough ice in advance! Make sure you have LOTS of ice and alcohol and non-alcohol drinks. My tip is to use paper plates to save a lot of clean-up! Lots of fresh juice sand water:) Avoid pop! My tip is prepare hours ahead of time and for all the guests to arrive as well. Tell everybody you know about the party of course. My tip is to get as much done prior to the event as possible. Make ahead dishes that freeze or refrigerate well will help to cut down on the amount of work to be done the day of the event. Less time in the kitchen = more time with your guests. Make extra food. Leftovers are always better than running out of food. Best tip is to do the food prep the day prior to make the day of easy! My tip for hosting a summer party is to have lots of varieties of beverages, especially the non-alcoholic kind, so that everyone stays well hydrated…and to serve light fare where possible. This is a good, easy to make recipe with flavour combinations that will take some out of their comfort zone. My result had more liquid, but that’s likely because I swapped the canned tomatoes for fresh ones. Also, the taste of nori sheets is quite dominant, 2 sheets was a bit much for me.